method for identifying gastric ulcers, this was performed for each horse under sedation without complication. Of the 15 horses scoped, one horse had eaten straw through his muzzle (!) so we could not see his stomach lining, two horses had no evidence of ulceration, and two horses had some low grade thickening of the stomach lining and are being managed with dietary changes and our gastric supplement.The remaining ten horses were prescribed medication to encourage ulcer healing and have since had a repeat gastroscopy to check on their progress. Treatments have included omeprazole, sucralfate, and gastric supplement. Of the horses we have rescoped, all of those suffering from squamous ulceration (top half of the stomach) are now starting to wean off treatment. For those diagnosed with glandular ulceration (bottom half of the stomach), all cases with the exception of one pony, have required a longer course of treatment which is often the case with ulcers in this area. 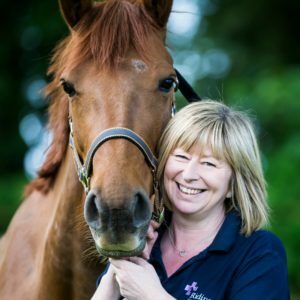 If you are concerned that your own horse or pony may be suffering from gastric ulcers, please do not hesitate to contact us. Keep horses well hydrated! This is the most important way to reduce the chances of colic this winter. Add water to feeds, soak hay and insulate pipes to encourage horses to drink more. Give horses as much turnout and exercise as possible. Even a walk around the yard after work is better than nothing. Try to get them outside for as much of the day as possible. Focus on your warm up routine, especially in cold weather. The risk of injury and sprains is much higher when muscles and tendons are cold. Spend at least 10-20 minutes warming up, keep horses working active and loose with lots of transitions. Consider an exercise blanket for clipped horses and don’t forget to cool down for 10-15 minutes quiet walking – see this post by Jenny for more details. Make sure you’ve had your horse’s teeth checked within the last six months, dental problems can cause rapid weight loss so we try to spot them early. Keep an eye out for sarcoids – they tend to multiply over winter. 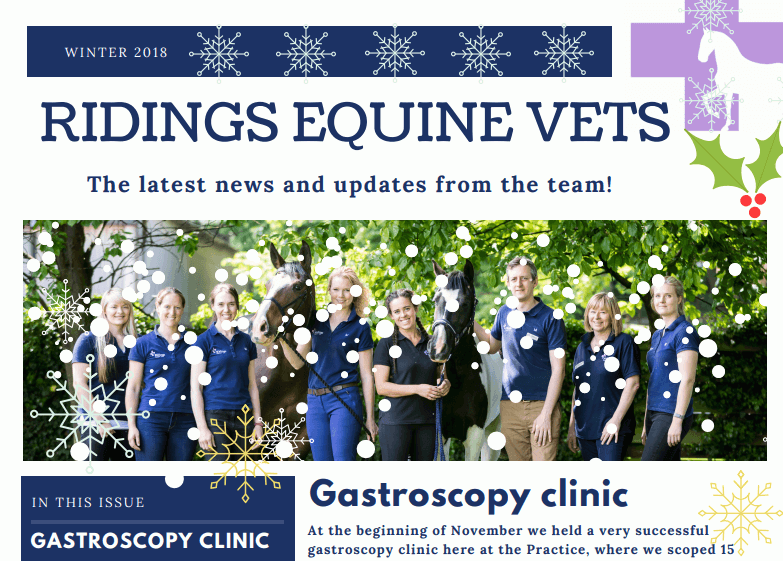 The newsletter also has a Christmas Cake recipe for your horses!